Richard “Red” Wickham, 87, of Chandlersville, passed away peacefully at his residence surrounded by his loving family on November 22, 2018. Richard was born in Noble County on September 14, 1931. He is the son of the late Lewis and Opal Wickham. He retired in 1984 after 32 years working for the Ohio Ferro Alloy as a crusher operator. He spent his life enjoying his family and friends, playing horseshoes, gardening, camping and watching westerns. Richard is survived by his children, Wilma (Ron) Moody, Larry (Patty) Wickham of Bloomfield, Debbie Shaw, Sandy (Daryl) Pierce, Chuck (Pam) Wickham of Chandlersville, and all of Zanesville; 16 grandchildren, 31 great grandchildren; 3 great-great grandchildren; his brother Roger Wickham and two sisters, Mable Kirkbride and Virginia Sines and several wonderful friends. 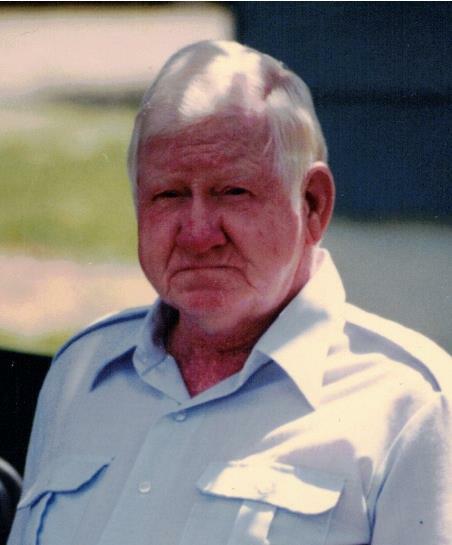 In addition to his parents, Richard is preceded in death by his wife, Margaret “June” Wickham, who passed away September 28, 2014; his daughter, Opal Harmon, two great grandchildren Mackenzie Shaw and Dallas Wickham; two sisters, Donna Rowland and Clara Wion and his brother, Charles Wickham. Visitations will be 2 to 4 and 6 to 8 pm Saturday, November 24, 2018 at the Farus Funeral Home of Duncan Falls where funeral services will be 2 pm Sunday, with Pastor Marc Caton officiating. He will be laid to rest in Rose Hill Cemetery.